Insurance, business and estate planning, and investments. Compliance, legal, regulatory, and risk management in financial services with an emphasis on FinTech start-ups. 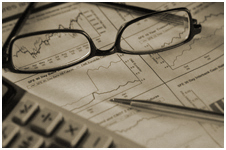 Economic and financial research, investment management, and hedge funds. Venture capital, charitable foundations, medical research and development, and alternative investments. Risk Management and transactional due diligence. Private equity, Small Business Investment Companies, and real estate. Media strategy and operations, corporate communications. Venture capital in technology and alternative investments. Corporate and private banking, capital markets, insurance, and alternative investments. Venture capital and private equity funds, enterprise and digital media companies, governance and financing for private companies, West Coast liaison. Management consulting and venture capital.